Holden SUVs are highly regarded in Australia for their off-road abilities. Now, the cousin of the Jackaroo, the Colorado, has been given a thorough update and impresses on rough terrain. Not only that, but unlike its predecessors, the new 2017 Colorado 7 is comfortable and well behaved on the highway – engine noise has reduced considerably while the suspension has been softened for a smoother, more comfortable ride. 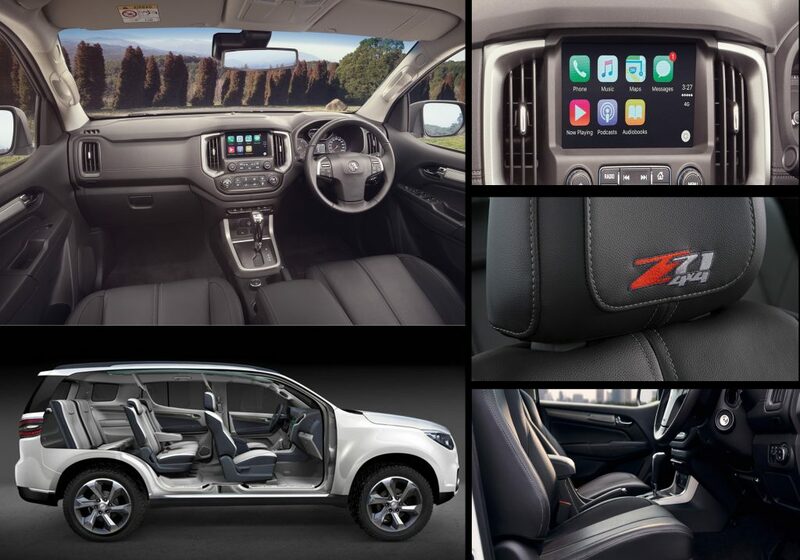 While the Holden Colorado 7 brings an air of luxury to the family SUV market the updates bring us to an important question regarding cost – is it worth the price tag? Find out in this review article below. 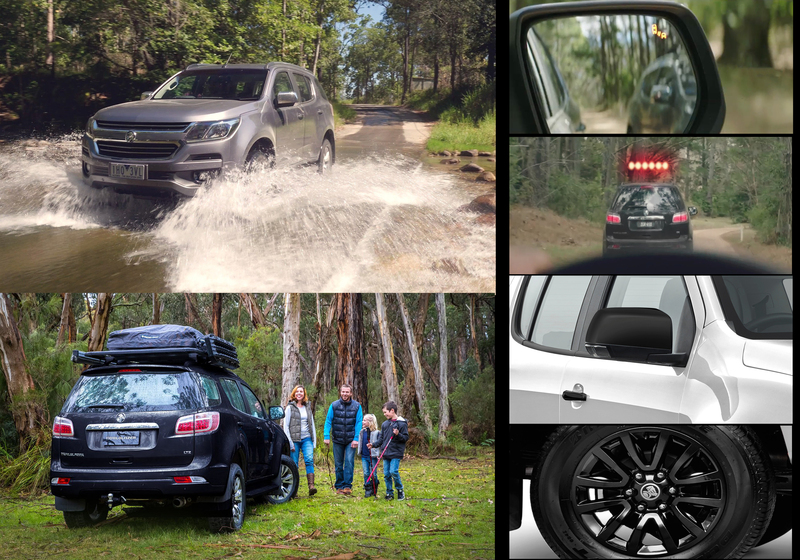 The Colorado 7 is a handsome vehicle – in fact this is one of the best looking SUVs on Australian roads. Yes, its bulky looking but that doesn’t make it look odd or disproportionate in any way. It may not not have the classy appeal of Range Rover or the exquisite detail and finesse of the Mercedes GL but it retains a rugged look which is highly coveted among off-roading enthusiasts. The conspicuous Holden Lion emblem, contemporary mesh grill and flashy chrome plating provide lots of striking visual interest up front. The rear view mirrors, door handles, projector headlamps, window frames and the rear end also feature chrome detailing. Even the back-end looks tidy and uncluttered with the overall opinion being this Colorado 7 is definitely a head-turner. Let’s take a look at the interior. This is where the Colorado gets the biggest improvement having shed its previously Spartan interior and instead now features a new design which puts it on par with rival SUVs. The seats remain slightly firm but they are a lot more accommodating than those in earlier models while the choice of Heated Leather Seats is an optional extra in the top LTZ model. As you might have guessed, The ‘7’ in the name Colorado 7 refers to the number of people that this SUV can accommodate. The instrument cluster and the rest of the interior trim – such as the soft touch door panels and the armrests – now feature a combination of jet and piano black. On the whole, the Colorado 7 is a spacious vehicle. However, luggage room behind the third row of seats is a bit limited. On the plus side, the third row has a 50:50 split bench; so you can just fold down one seat if you are carrying 6 passengers. The middle row has a 60:40 split. The Vehicle has very good ground clearance but ingress and egress is made easy by the side steps. The Colorado 7 is loaded with features. If you are iphone user, one feature to appreciate is the Siri Eyes-free mode. Just pair your smartphone and play music, compose text messages, read received text messages, read important notifications and also add reminders. Initially, we thought there was no satellite navigation in the Colorado. This came as a bit of a surprise! However, as we further inspected and played with the 7 inch touch-display, we realized that the system is equipped with BringGo. For those who are not familiar, BringGo is a Navigation App that enables access to 3D maps and features turn-by-turn directions, emergency contacts and other places of interests such as fuel refilling stations, hospitals etc. The Colorado has excellent Bluetooth connectivity and includes a bunch of apps such as Pandora, Tuneln etc. You can use these apps to connect and listen to your favorite radio stations from anywhere in the world. This mean machine is powered by Holden’s Duramax 2 Engine. This 2.8 litre diesel motor produces 147KW@3600 rpm and a staggering 500 Nm of Torque. Most importantly, the max torque is accessible very low on the band range (2000 rpm) and this gives the Colorado 7 a stunning towing capacity of 3 tons! The engine is coupled with a 6-speed automatic transmission with 4WD. If you love to tinker around with the gears and prefer to shift manually, you can simply enable Active-Select. 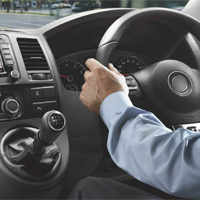 This enables you to shift manually via the sequential gear lever that is mounted on the centre console. With the best of both worlds – you can cruise in automatic mode in city traffic and use manual mode on the twisties and while off-roading. The Holden Colorado 7 returns a combined efficiency of 9.4l/100km which is not bad considering this a powerful 7 seater SUV. Carbon dioxide emissions are moderate at 243g/km. This is not the kind of vehicle to set a pulse racing. However, the surge of torque gives you a sense of satisfaction that only big SUVs can provide. The ride is much better than before thanks to the reworked suspension. As expected, the Colorado isn’t exactly a corner-hugger but switching to sequential gear shifts adds a charm to the whole driving experience. The cabin is calm and quiet – Holden have clearly worked hard to reduce power-train noise. It has also conducted intensive wind tunnel testing and NVH levels are also pretty low. Features such as Hill Descent and Hill Start Assist ensure that even an inexperienced person can drive the Colorado with ease off the road. With a 5 star ANCAP safety rating, this is one of the safest family cars on Australian roads. Rear view camera and a lot more. The Holden Colorado 7 makes a very strong case for itself. Definitely worth considering if you want a family SUV with phenomenal off-road capabilities. There is enough room for 7 people and the vehicle is loaded with features. Also, the Colorado looks good and retains some of the old-school charm without compromising on modern technology. Most importantly, Holden have played it smart in the pricing department – prices start at just above $50,000 (plus other costs) which is very competitive for a seven seater. The five star ANCAP safety rating and the 3 year/100000 km warranty make it a very sensible choice. Our recommendation is that you give the Colorado SUV a test drive – it offers the perfect balance between ruggedness and comfortable driving.